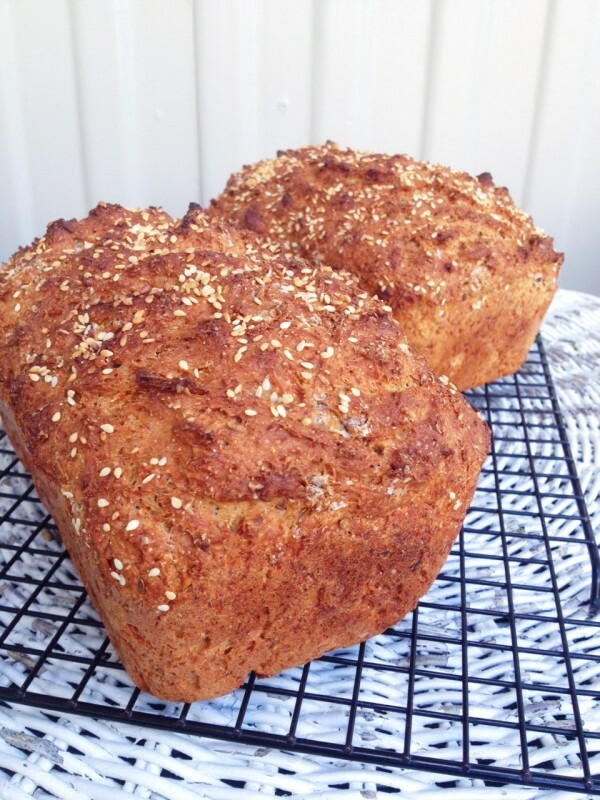 This is my kind of bread – you just throw all the ingredients together in a bowl, no rising or kneading, then bake it ... and before you know it, the kitchen is filled with the gorgeous smell of baking bread and you’ve got two crusty-topped loaves with a soft fine crumb and excellent flavour to devour. 1 Sprinkle the dried yeast and sugar over the warm water and leave to dissolve; stir once or twice. 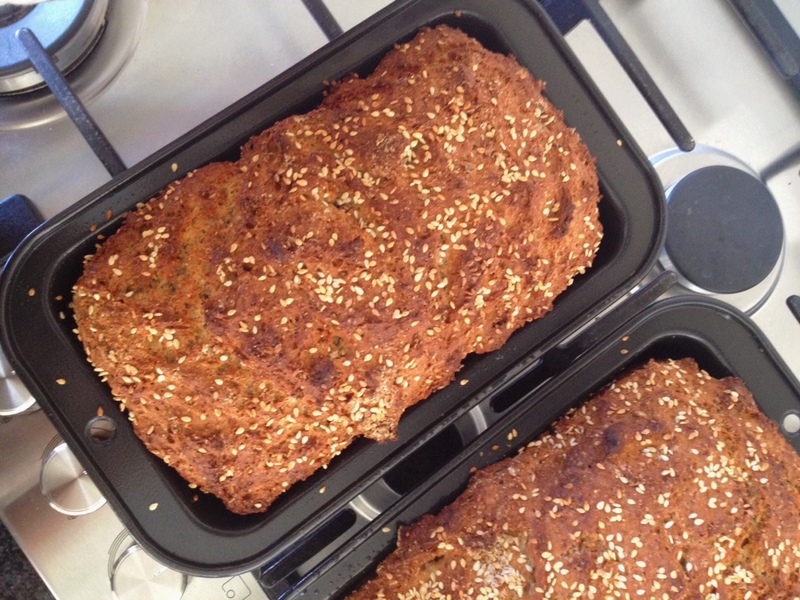 2 Put the rye, flaxseed, wheatgerm and millet in a large bowl and stir through salt, then the white and wholemeal flours. Make a well in the centre and drop in the beaten egg. Pour in yeast mixture then blend together until porridge-like. 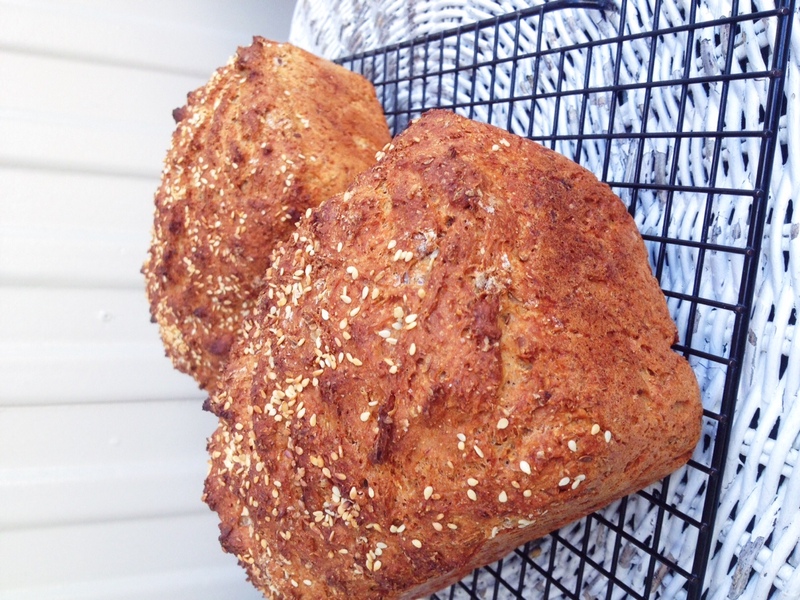 3 Pour into two greased loaf tins, sprinkle with sesame or poppy seeds if liked, and put them in a cold oven. Turn oven to 200°C (400°F) and cook for 50-60 minutes until the loaves are crusty and sound hollow when tapped on the bottom of the tins. 4 Cool loaves in the tins for 5 minutes or so, then turn them onto cooling racks. When cool store in brown paper bags, or freeze. 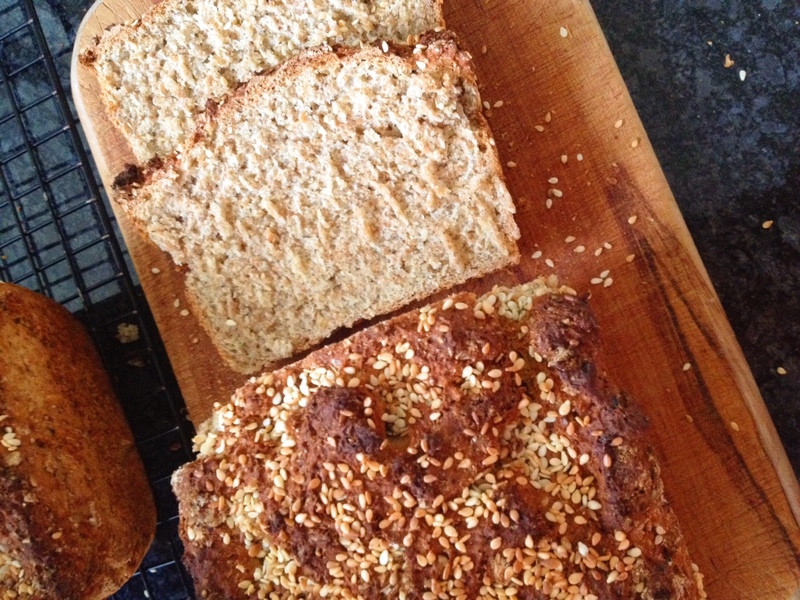 Hi Ilaria, I made this 5 grain bread yesterday. I’m always searching for a method that doesn’t take hours to make. This recipe is so simple to make and delicious. Thought it might be a bit “sconey” but it wasn’t. Will continue making this one. By the way, I’m attending your mum’s cooking class next Sat. I can’t find your focaccia recipe in my files! Eeek. It is wonderful and I can’t remember it. Cookbooks all packed up and it will take me weeks to sort. Help. please? I made it every Christmas for my kids and grandkids. Oh gosh, do you mean my focaccia recipe from way back when … Like Cuisine or my Italian cookbook?